Widely used by tradesmen in the drywall and suspended ceiling industries, stilts are both a time and labour saving tool. They are designed to eliminate the use of ladders and steps in many building and decorating tasks. 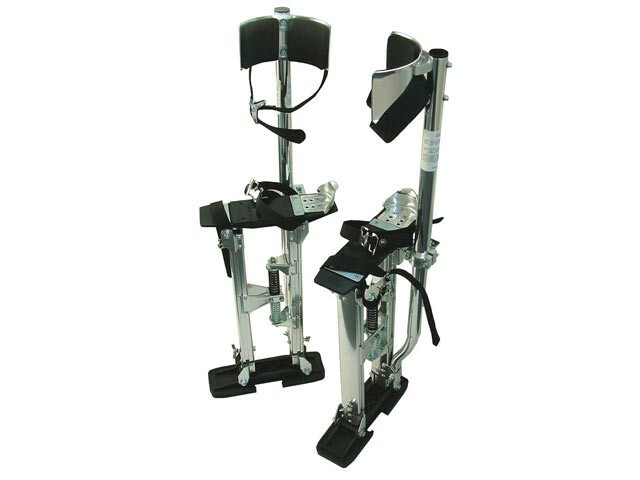 The stilts are supplied complete with a sturdy carry bag and full instructions.